Our first women’s last shape, Alice, is a perfect fit for most widths of feet. Monk straps were originally designed as an alternative to sandals for monks. They have a high vamp which ensures support when walking. 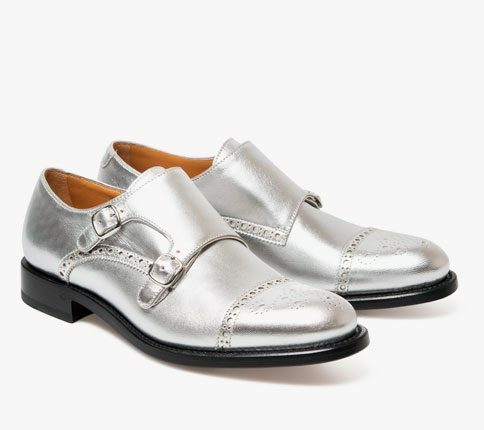 The addition of small silver buckles make them more feminine and elegant. 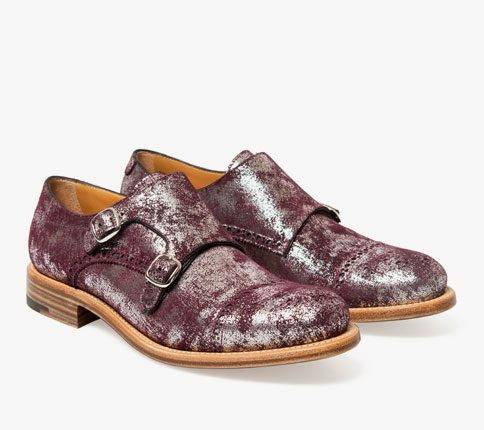 This monk strap patent leather Tuxedo double monk is perfect for wearing with a Tux and cropped trouser. Fitted with out patent pending Goodyear® construction to make these hand made monks easy to wear straight out of the box. Note the tiny bee stamp on the heel denoting the hand crafted nature of our shoes.